Keller Strings welcomes every quality of violin, viola, and cello and their bows for FREE repair estimate. 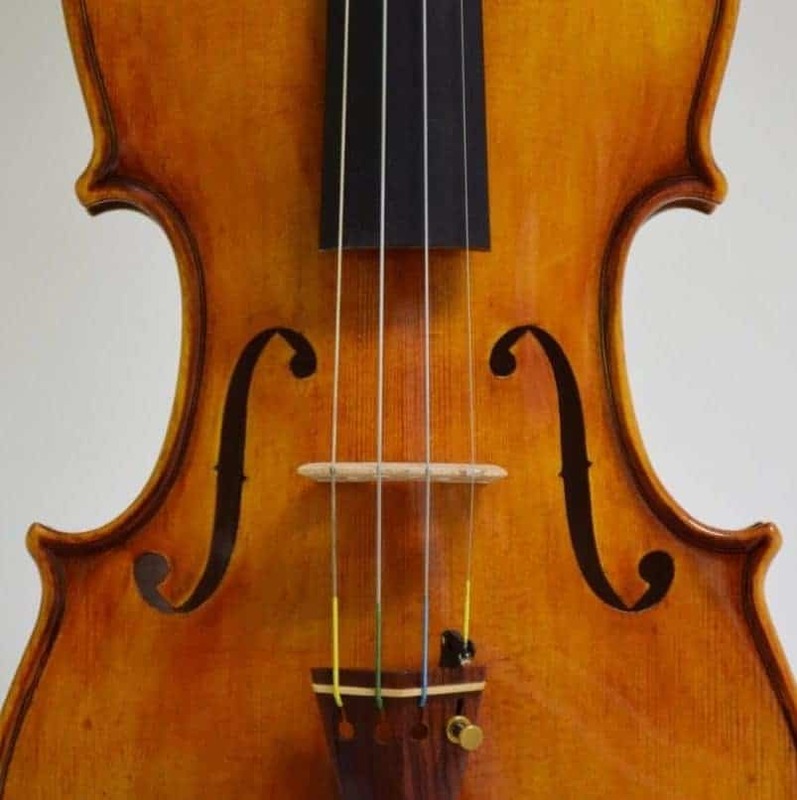 Since each instrument is unique, we need to view the instrument for accuracy of estimate. We may be able to discuss the price range of your needed repair via phone call, but a final repair estimate will require the physical presence of the instrument. 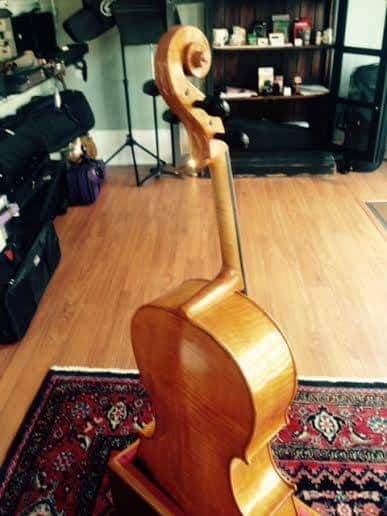 We appreciate your support of local music dealers; however will be glad to make adjustments or setup to instruments purchased online. 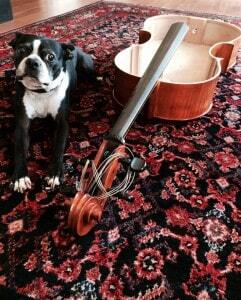 We stock many varieties of strings, pegs, tailpieces, and chinrests to choose from. Bridge Fitting (standard and professional), Installation of Sound Post, Seam Repair (top removal and non-top removal), Crack and Grain Separation Repair, Fingerboard Dressing, New Pegs installed (ebony, boxwood, rosewood), Peg Hole Bushing, Button Grafts , Top and Back Sound post patch, Neck Reset (with touchup), Nut & Saddle Replacement, Clean & Polish, French Polish, New Edge (with touchup), New Endbutton/Endpin. 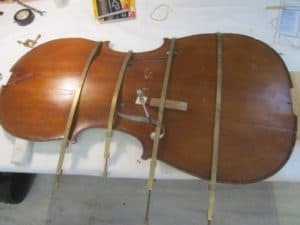 Bridge Fitting – The feet of the bridge must fit snugly onto the instrument and the arch must be shaped correctly for each instrument. 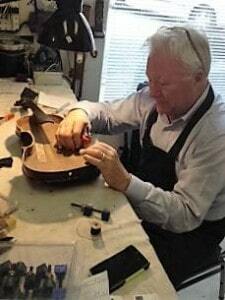 Fitting a bridge perfectly requires the skill of an expert who uses an extremely sharp knife. Sound Post – It is always of the utmost importance that the sound post remains in the correct position and is not too tight or too short. The quality of the spruce is also most important. 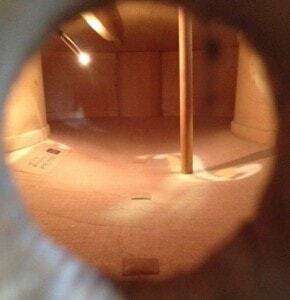 Fit and position of the sound post is critical to the tone of each string. 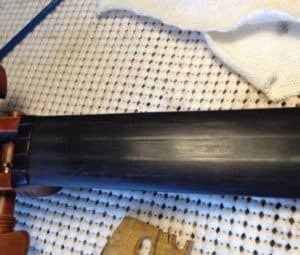 Sound Post Patch – if a sound post is too long or the instrument receives an impact, a crack in the top or back my result. 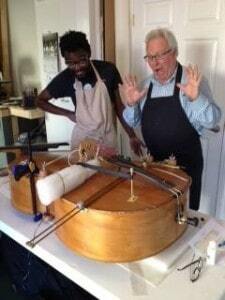 Done properly, tone will not be diminished, although it will result in a slight devaluation of the instrument. This is an extensive repair, as the top is removed and a flush patch is installed. 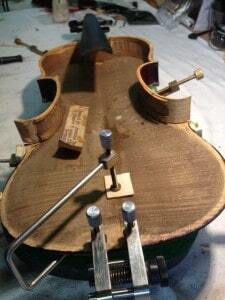 Fingerboard Dressing – Over time, the pressure of the strings being pushed on to the fingerboard can wear grooves into the fingerboard, causing ridges to appear. 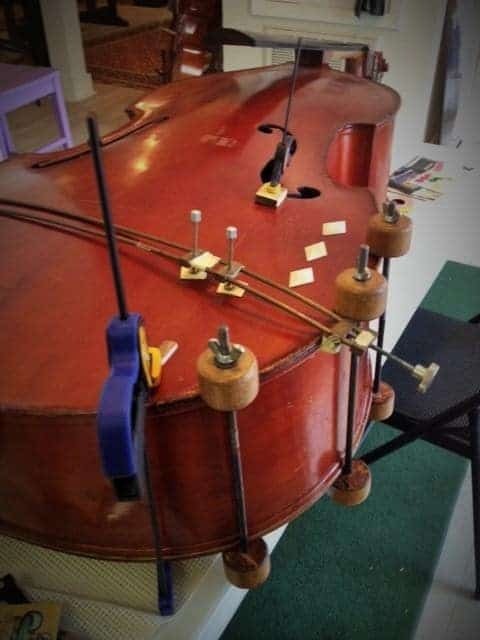 When this occurs, it is often difficult if not impossible to play. 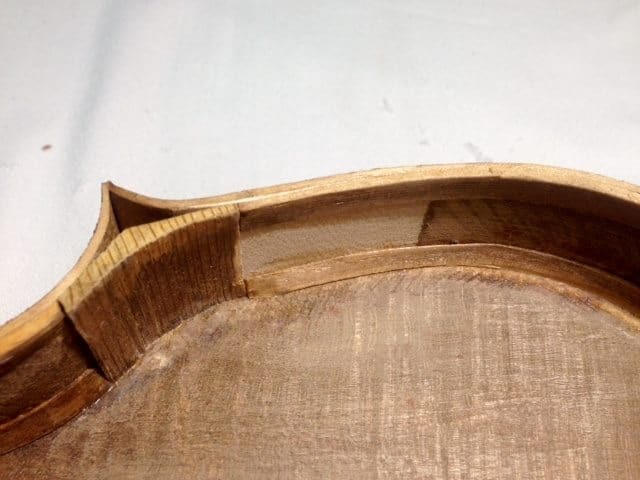 Do not sand these ridges as the fingerboard should be planed and dressed by a professional to keep the correct contours and angles. 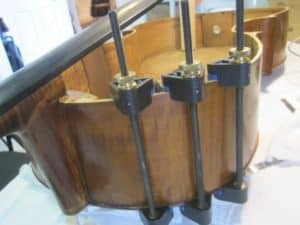 Peg Hole Bushing – If an instrument is old enough that the pegs have worn through to the end of their life cycle; it may have also worn the peg holes to where they are out of round or too large. Another reason for bushing a peg is if a small crack developed between peg holes. 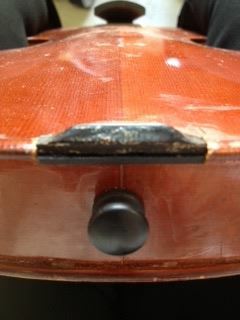 Finished properly, this repair will enhance and strengthen the hole and the peg box. 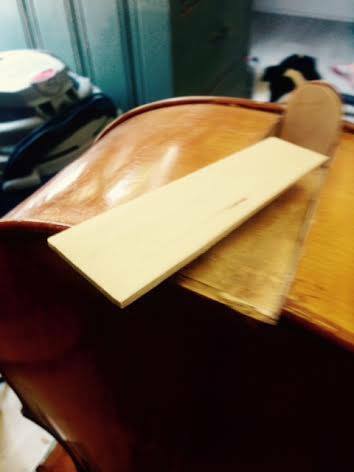 You will notice a crescent shape of new wood around the peg hole that has been finished to match the peg box. 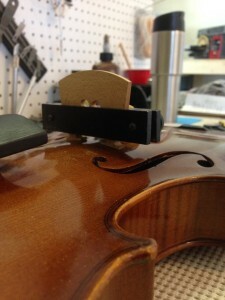 If you try to force a stuck peg or remove a broken peg, damage to the peg box could result. For this reason, please ask a professional to remove a stuck or broken peg. Button Graft – Sometimes when the neck of the instrument pulls away or breaks from the body of the instrument at the neck base or block, the button on the top of the corpus breaks. 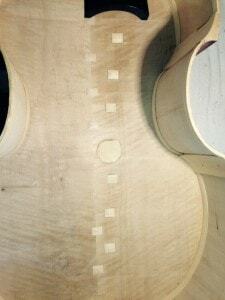 The piece should not just be glued back without reinforcement. 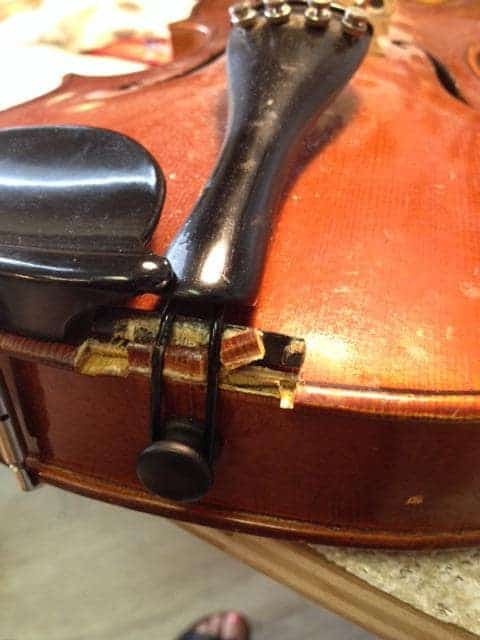 This repair should be completed by a professional. The break will be supported by an invisible graft that finished correctly will either disappear or enhance the repaired neck. Frog Eye – replacement or repair of the eye of the frog is not only an aesthetic issue, this will protect the integrity of the rest of the frog. 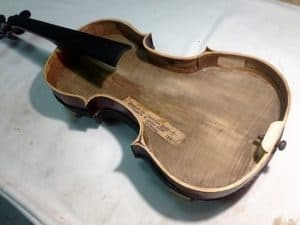 Often, you will see old bow frogs without the eye as over time the contraction of the wood and release of the glue has caused the eye to out. 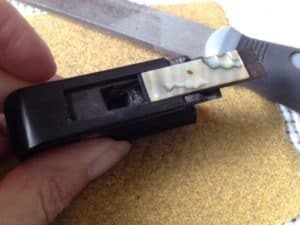 Slide – Generally made from abalone or mother-of-pearl with ebony lining. If the slide is unlined, it is weak and often will not hold. If ill-fitted, it should be replaced. 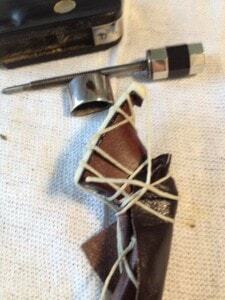 Bow Screw and Eyelet – At times the eyelet that attaches to the bow frog and screw (that tightens the bow hair) will strip. Over time, the hole in the frog may become worn and is too large to hold the screw. There are various repairs that may need to be done to correct these issues. The eyelet and bow screw threads are not universal and need to match, and the eyelet must be straight and secure in the frog. 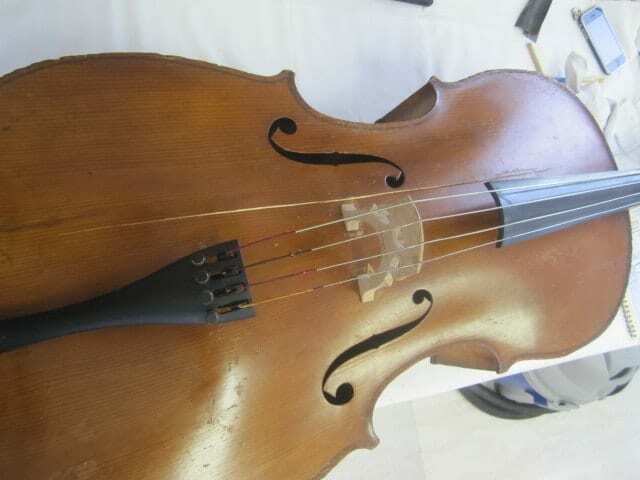 Broken Head – When a bow is broken off close to the head without leaving any damage to the head of the bow itself, it can usually be repaired and the bow returned to its previous character. The first repair option would be a head splice in which the broken ends are brought together with the strongest glue. Then a thin saw blade is used to cut a slot lengthwise through the repair joint and through the upper part of the bow head. After cutting, a strip of hardwood veneer or Pernambuco Wood is inserted. 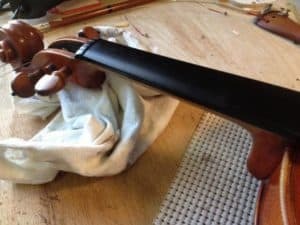 This is a difficult repair as the slenderness of a high quality bow stick needs support and to be very stable while cutting and inserting. If this repair were to go poorly, or wasn’t an option, there is another method of restoration. 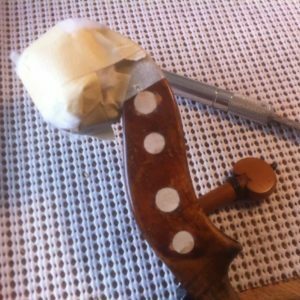 A graft is made from the tip end portion from another bow (around six to eight inches long) and joined with the bow stick. 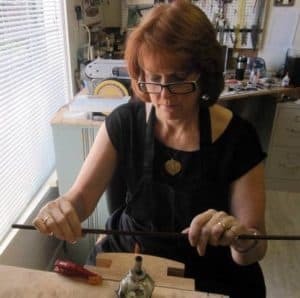 Re-camber – If a bow is strong enough or a high enough quality to withstand the bending to correct and hold the shape, then it can be worthwhile and is recommended. If the stick is not of a better quality brazil wood or Pernambuco , it will be a waste of time and money to re-shape.